The Rapiscan MobileCheck™ ES provides a mobile, relocatable checkpoint security solution for events, critical buildings and temporary or semi-permanent entryways. 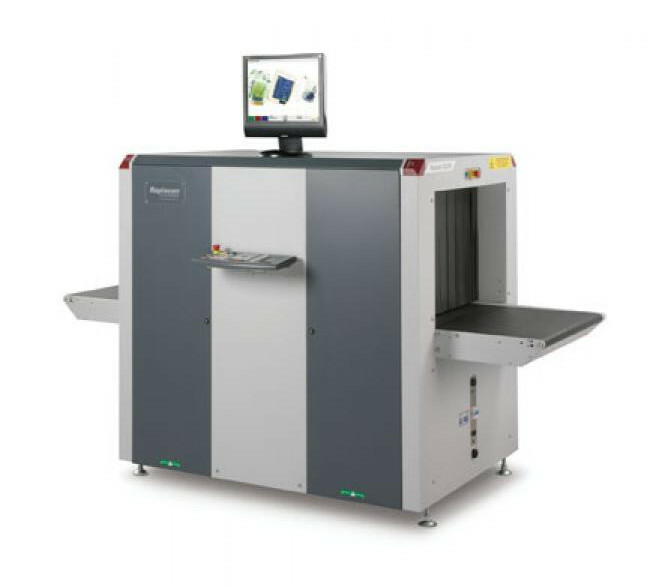 This standard, 20 ft. container integrates the Rapiscan 620XR X-ray baggage screening system with the Metor 300 walk-through metal detector to screen people and baggage for threats and contraband. 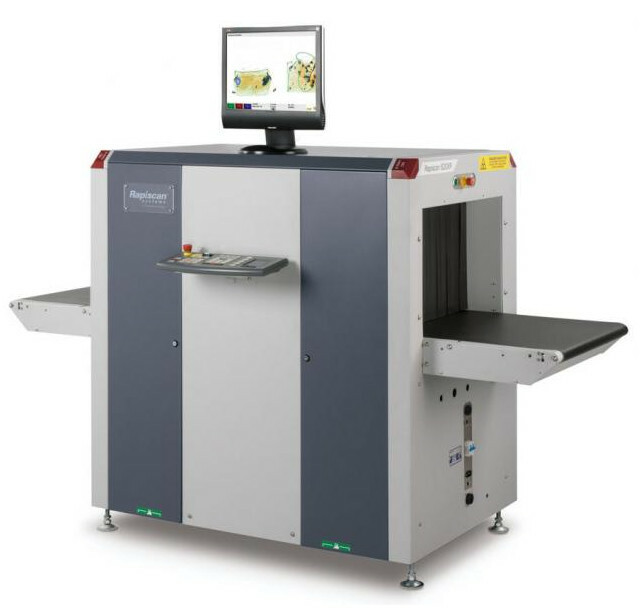 MobileCheck ES001: contains One (1) 620XR X-ray baggage screener, One (1) Metor 300 walk-through metal detector and One (1) Metor 28 hand-held metal detector. MobileCheck ES002: contains Two (2) 620XR, Two (2) Metor 300 walk-through metal detectors and Two (2) Metor 28 hand-held metal detectors. Also available is Desktop Explosive Trace Detection (ETD) option for alarm resolution. The Rapiscan MobileCheck™ IRC is a mobile, easily deployable, integrated personnel security solution for critical checkpoints where safety of security personnel is vital. This remotely operated non-intrusive baggage and people screening solution is housed in a standard 20 ft. container with the state of the art systems to detect threats, explosives, nuclear material and weapons. 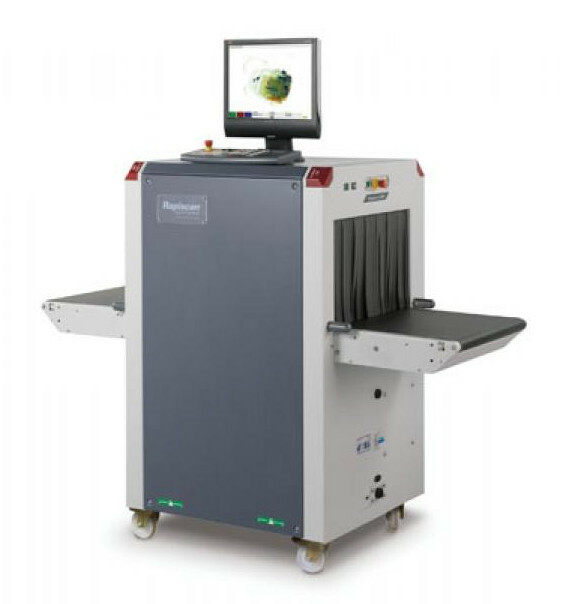 Rapiscan’s globally certified and approved 620XR with superior X-ray image quality is utilized for baggage and small parcel screening. 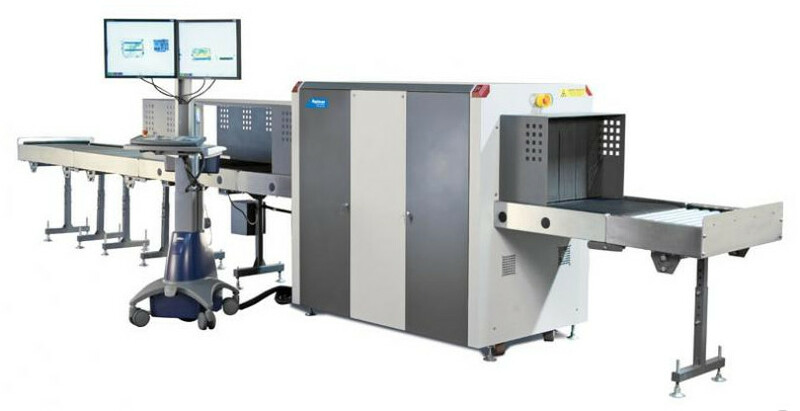 Secure 1000 Dual Pose is an advanced backscatter X-ray whole body imaging system for identification of weapons and contrabands on and under the person’s clothing - regardless of the material composition of threat. Also included is a Nuclear Radiation detector capable of identifying any nuclear material carried either on the body or in the carry-on baggage. 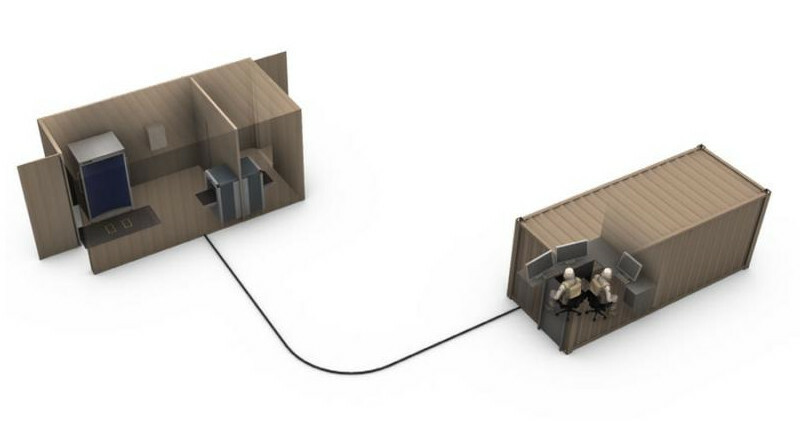 The Integrated Re-locatable Checkpoint (IRC) system consists of two containers. The Personnel Screening Container (PSC) is the portal where all the security inspection systems are housed and screening of people and their belonging takes place. The Remote Operator Station (ROS) contains the operators, hardware and all the equipment necessary to operate the PSC remotely.